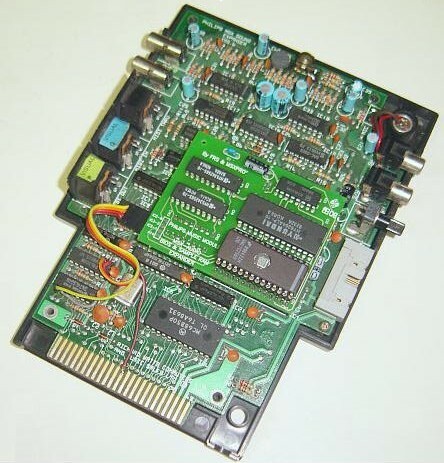 Thanks to FRS publishing his schematics of the MSX Audio Upgrade for the Philips Music Module a while ago, it became possible to recreate his great work on upgrading the Philips Music Module to an almost full fledged Panasonic MSX Audio cartridge. This means that features like the MSX Audio Basic will become available after upgrading your Music Module. Changing the CALL MUSIC command in FM-PAC Basic listings to CALL AUDIO will play all those musics on your Music Module. ADPCM commands will also become available in Basic. 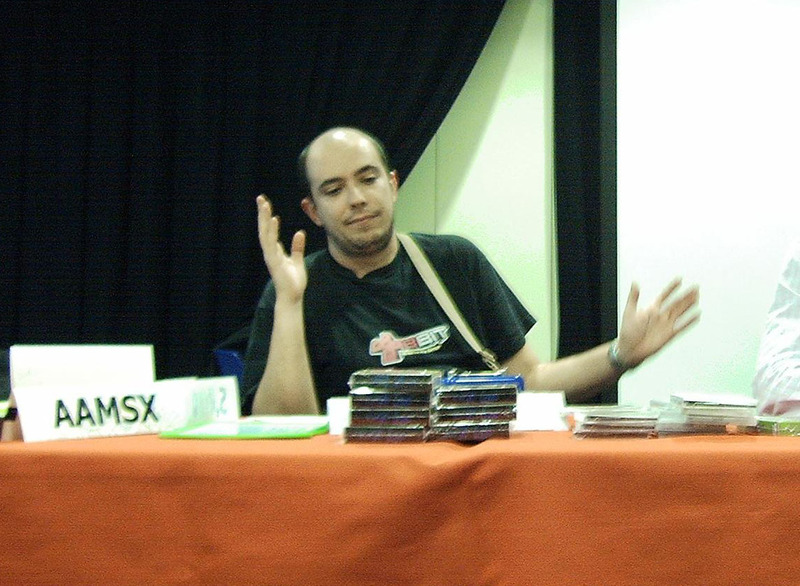 Furthermore, games and disk magazines with support for MSX Audio (like those of Compile) will automatically detect and use your Music Module. 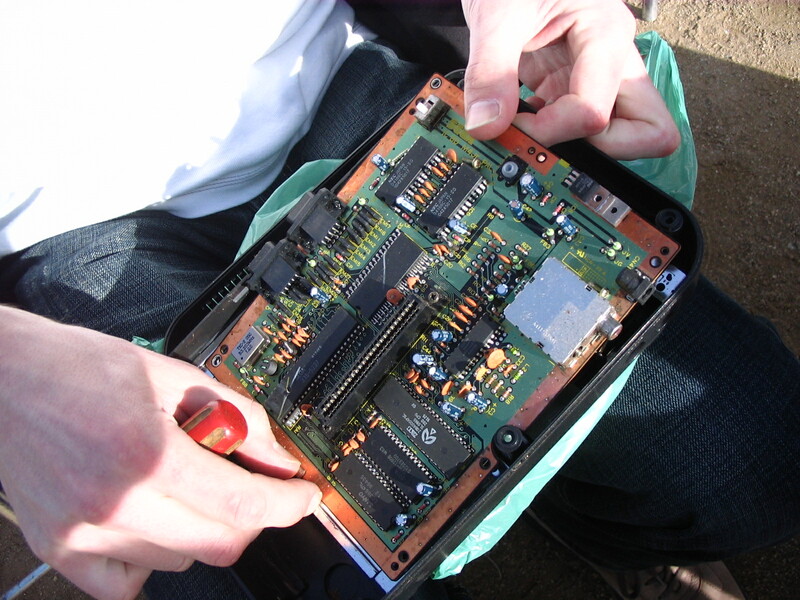 The upgrade board also features a 256KB sample ram upgrade. This project started in May this year. After some setbacks all components and PCB’s are finally in. 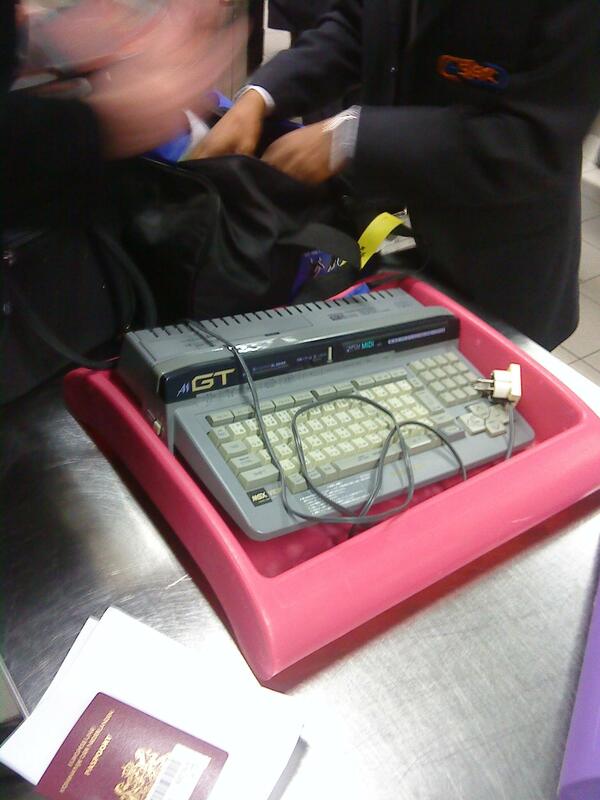 We hope to start selling the upgrade including an DIY manual at the next MSX fair in Nijmegen. Also, we found Bas Kornalijnslijper (www.bas-ditta.info) willingly to start an upgrade service for those of you that don’t have the time nor skills to do the upgrade yourself. 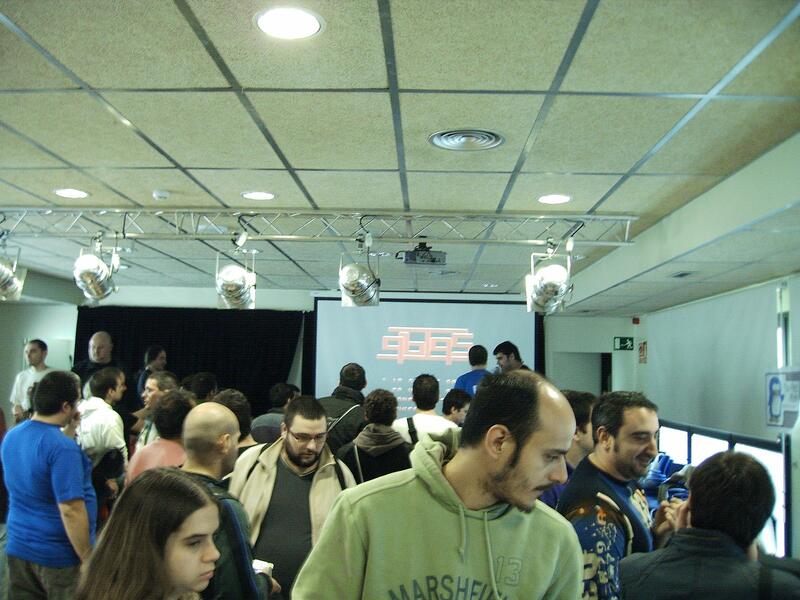 36th MSX users meeting in Barcelona a succes! We attended the 36th users meeting of AAMSX in Barcelona. AAMSX kindly provided a stand and a couple of monitors for us so that we could show our Franky cartridge with the latest converted software. Luckily we managed to assemble our first batch of Franky cardridges on time for the meeting. And, to our surprise, all Franky cartridges we brought with us were sold! We even got to take pre-orders (we do our best to send these to you in the coming days). Our participation resulted in given support from the following Spanish developers: Relevo Software, Nerlaska Studios, Z80ST Software and Kralizec. 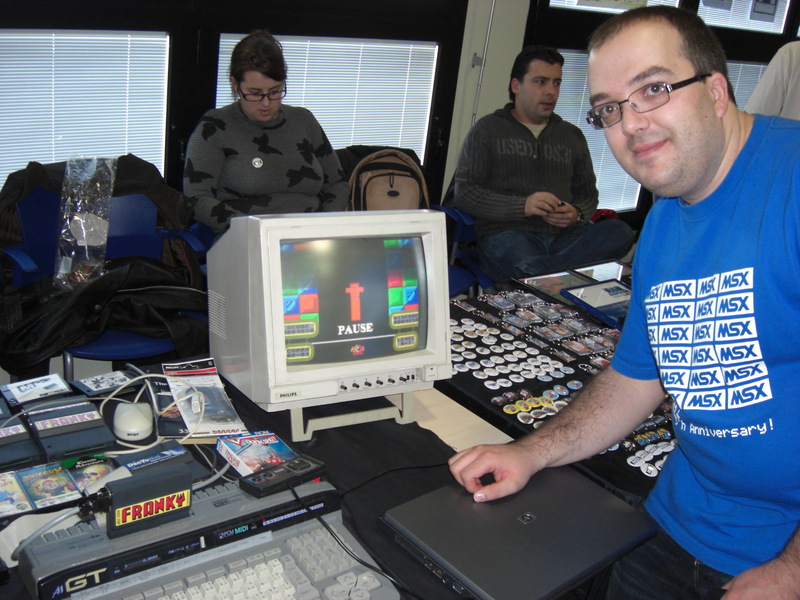 Z80ST software ported their new game Qbiqs live at the meeting to Franky, which is of course quite an achievement. Kralizec will adapt one of their great productions to Mode4 on Franky, great news indeed. The other developers will port existing code or -hopefully- build in support for Franky in their new productions. 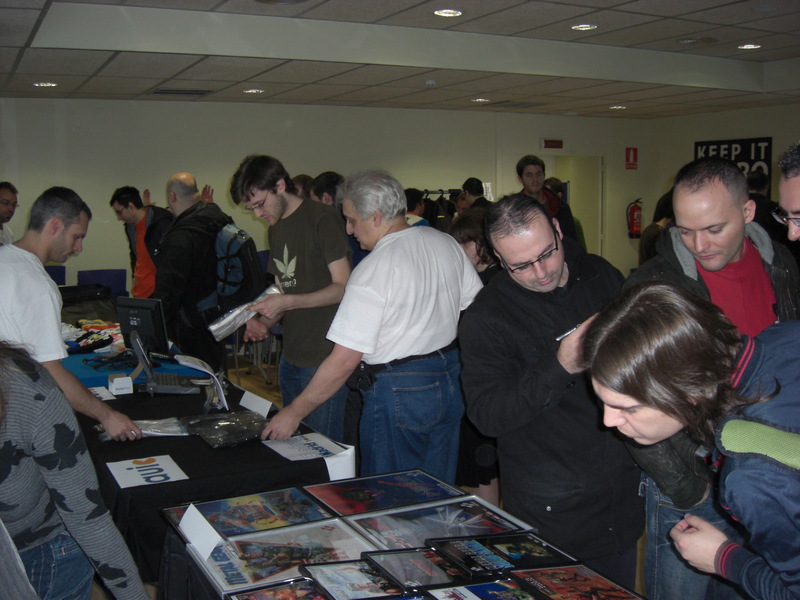 All in all the MSX meeting was vibrant and crowded. Refreshing! Also, we had a late dinner afterwards (and with late I mean very late 😉 with most of the active meeting crew and active Spanish developers. We really had a great time. Our hosts took care of everything, even the massive bill afterwards. A big thank you for that! We owe you ;-). We hope to be there next time. 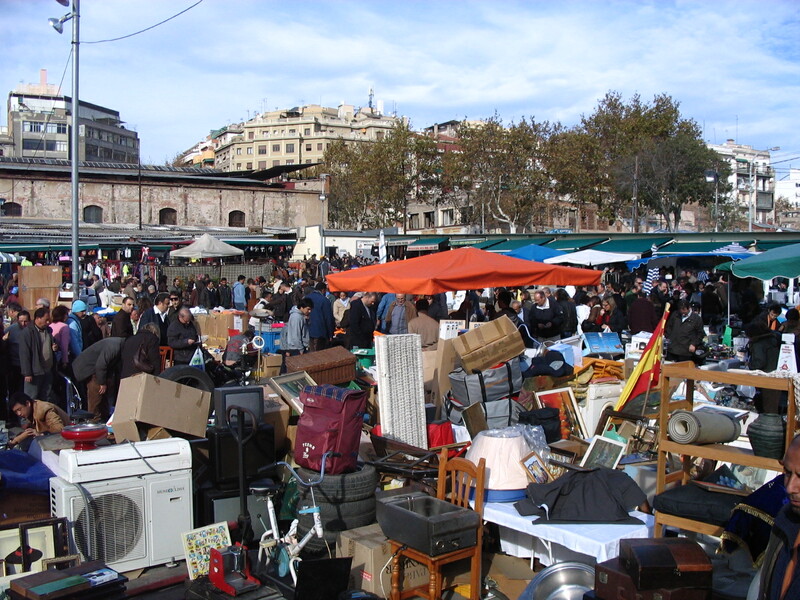 Barcelona is always a great place to stay. Also on Sundays. See below..